405 West Madison in Millstadt, IL. Fried chicken, potato casserole, baked beans, slaw, and jell-o salads. Our raffle will include a beautiful handmade quilt and cash prizes. 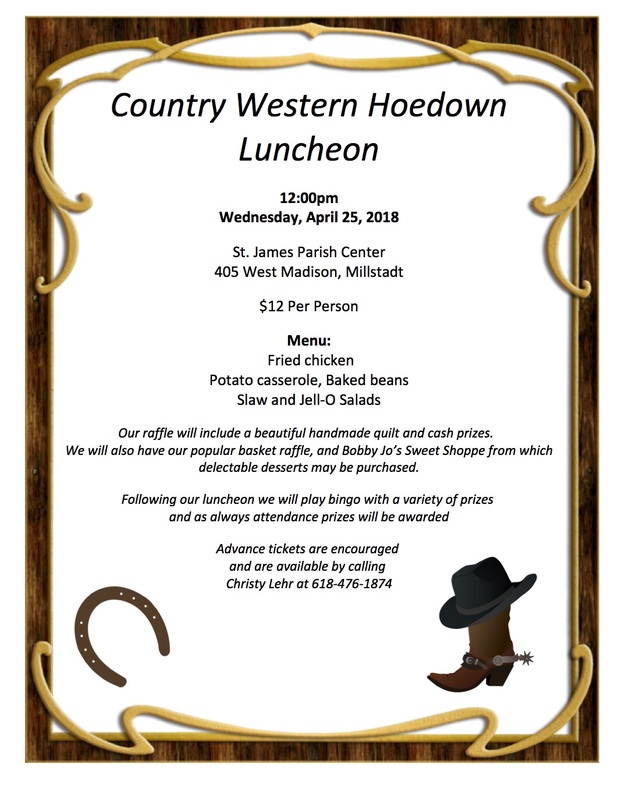 We will also hae our popular basket raffle, and Bobby Jo’s Sweet Shoppe from which delectable desserts may be purchased. Following our luncheon we will play bingo with a variety of pries and as always attendance prizes will be awarded. Advance tickets are encouraged and are available by calling Christy Lehr at 618-476-1874.